Nagoya Railroad Co, Ltd. (a.k.a. 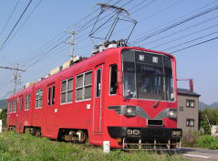 Meitetsu) class 880 electric streetcar. This is a 2-part articulated streetcar. As the class is also used on the Kakamigahara line, it can also run on 1500 V DC and not only on 600 V as most streetcars. 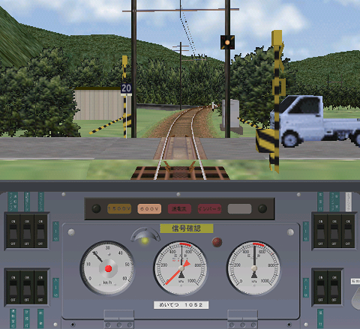 Photorealistic driver's stand with speedometer, manometers (pressure gauges) and pilot lamp.